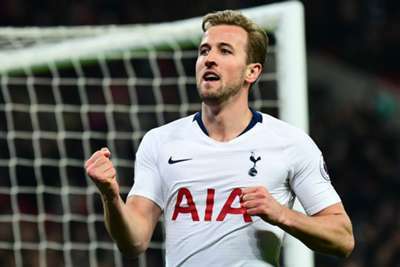 Tottenham striker Harry Kane will be assessed ahead of a potential return to action against Burnley on Saturday, Mauricio Pochettino has confirmed. The England captain has been out since damaging ankle ligaments against Manchester United in January, but he returned to full training ahead of schedule this week. Spurs boss Pochettino, facing the media on Thursday, would not confirm Kane is available to face Burnley, however, with the forward to face a late fitness test. Tottenham are approaching a key stretch of the season, playing five matches in just over two weeks - including clashes with Chelsea and Arsenal and a second leg at Borussia Dortmund in the last 16 of the Champions League. "He's good, he's very good," Pochettino told a pre-match news conference. "I think we need to assess him after one more training session [on Friday] and then decide. "But he's doing well and I'm happy with him. Maybe he is going to be available to be part of the squad on Saturday. "You know very well, everyone knows, that Harry is an animal. He wanted to be ready as soon as possible. He did everything to try to recover. With the injury that he suffered, it's tough to recover. "But there is the possibility to push. With other injuries, you cannot push too much because you need to be careful. "We are so happy that, in the last 10 days, he has been fantastic in training. Having him available again is going to be a massive impact for everyone." Asked who would make the final call on Kane, Pochettino continued: "I don't care if he wants to play or not. The only person who is going to decide in the end is myself with my coaching staff. "We talk with the doctor and the medical staff and sports science, too. "Of course, if you asked Harry 10 days ago, he was ready to play. But the last word is always for myself to take the risk, the decision." Tottenham confirmed that Dele Alli, who has been out with a hamstring injury, will continue on-field rehabilitation. Ben Davies is back in training, but Danny Rose is struggling with illness. On Alli, Pochettino added: "He's good. We're happy. This muscle injury is different. He's in the last part of his recovery, in the last period, a key part. "It's difficult to know [a return date]; maybe one week, 10 days, two weeks. We'll see because we're going to assess him day by day."